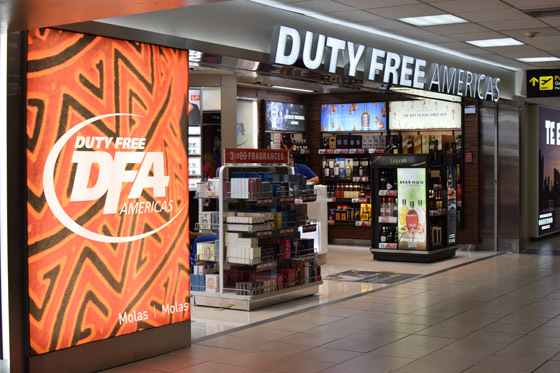 Two flagship DFA stores on facing corners greet passengers passing through security at Tocumen International Airport Terminal 1 in Panama. Panama’s Tocumen International Airport is going through a major transformation, driven in large part by the new stores recently opened by Duty Free Americas. The makeover is immediately visible as travelers pass through Tocumen’s main security checkpoint in Terminal 1where they are greeted by two brightly lit, welcoming Duty Free Americas stores sporting a modern, state-of-the art retail design and product offer. The two 300 sq meter shops are at the heart of the two concession blocks won by DFA in August 2017, in what was the company’s first award at the airport at that time. DFA, owned by the Falic family, won two of the three blocks offered in the tender, with a bid of $1.2 million per month for each location, double the minimum that was required. (Motta Internacional won the third block). The 10-year- contracts cover two blocks of around 700 sq. meters of space. DFA will pay the airport authority about $288 million in monthly fees over the life of the contract. DFA bid very strategically when choosing the blocks, concentrating on locations as well as overall space. Falic said that the two blocks will give the company 85% of the sales in Tocumen. “We have been waiting 10 years to get in [to Tocumen]. We will be paying a lot of attention and building stores never seen before in this airport,” he says. The two flagship shops immediately past security fulfill that promise. Located on facing corners, the stores were formerly part of two separate blocks, one operated by Motta Internacional and the other by the former Waked Group – Grupo Wisa. 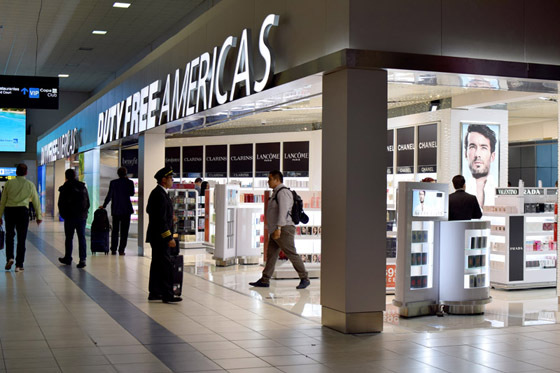 Now the two locations work together—coming through security, the DFA store to the left showcases a full-on spirits offer in its corner space; the DFA store to the right features beauty and cosmetics in its corner. Both stores carry a full assortment of products (except confectionery), only the layouts are reversed. Both flagship stores also feature an open design. While not directly walk-through, the open layout makes shopping easily accessible to travelers in the main corridor as well as at the gates in the main hall. A number of features stand out. All the liquor areas are enhanced with warm wooden textured walls and point of sale display units, contrasting with bright white walls in the beauty sections of the store. Excellent use is made of lighting and video displays. The broad product selection has also been fine-tuned to appeal to specific passenger profiles, says Dov Falic, Director of Liquor buying at DFA’s UETA Latin America division, who took TMI on a recent tour of the Tocumen stores. 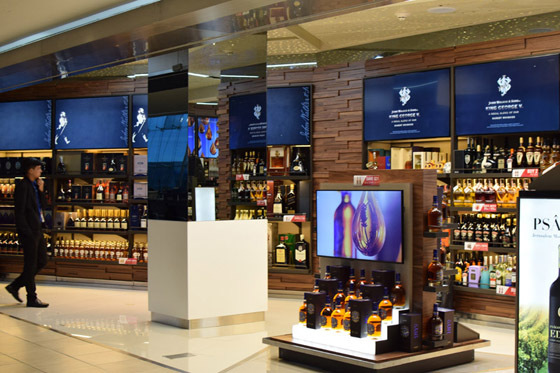 For example, the DFA store nearest to the gates that handles Air China and European countries offers a special focus on cognacs, as well as a curated display of fine local Latin American wines which have proved to be particularly popular with the Chinese passengers. Beautiful wood accents enhance the spirits sections of the new DFA stores in Tocumen, along with a curated product selection. “We are offering the best of the best wines from Chile and Argentina directly in front of the Air China gate,” Dov Falic said. Although the flight from China is currently only 2 times per week, the airport is in discussion to increase frequencies, he says, following Panama’s recognition of “one China” which includes Taiwan as part of the People’s Republic. Among other results of last year’s switch to Beijing, visa requirements between the two countries have been eased and China is increasing its investment in Panama. “Our stores are either the first to be seen in an area or the only store in a specific section,” he explains. A 60 sq meter DFA store in the newest section of Terminal 1 was filled with customers both times I passed by. It is the first duty free store passengers arriving in this section will encounter. “This store is delivering much better sales than we expected,” said Dov Falic. DFA also has stores in both satellite areas in the older part of Terminal 1. DFA has also won the concession to operate a duty free bar in Terminal 1, where it also holds activations featuring specific brands. The company won the concession to operate three more duty free bars in the new Terminal 2 scheduled to open early next year. A Kate Spade boutique and Ralph Lauren Polo boutique, along with two DFA News & Gift locations, round out the retail operations. “We brought a new deal to the airport,” said Dov Falic. 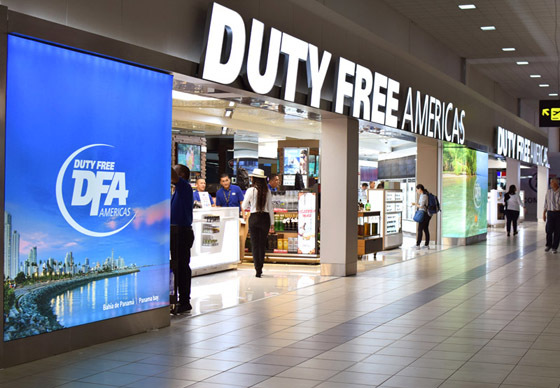 In August, the Airport Authority announced that DFA won one of the two duty free concessions awarded by Tocumen for Terminal 2, which is expected to be open for business by May 2019. Eight DFA stores are strategically located throughout Terminal 1, with two more spaces still to open. Tocumen is considered such a plumb duty free prize because 94% of the traffic is international, according to anna-aero. Further sweetening the deal, most of these international passengers are in transit, and all of them can purchase at the duty free stores in the airport. Panama, often called the “Hub of the Americas,” is the gateway connecting North America and the Caribbean region with all of Latin America. A total of 15,616,065 passengers traveled through the Tocumen Airport in 2017, up by 874,128 passengers compared to 2016. 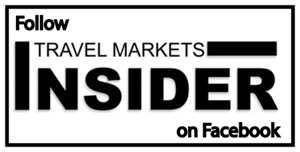 Passenger volume rose by 5.93% in 2017, the 30th consecutive month of PAX growth since October, 2015 when growth slipped just-0.3%, reports travel retail research agency Counter Intelligence Retail. The airport achieved double-digit passenger growth in each year between 2011 and 2014, but this fell to a little more than 5% growth in 2015, when volume was hit by the Brazilian recession. Traffic rose again in 2016 by nearly 10%, but the growth rate fell again to just under 6% last year. Although it experienced declines in capacity from many key markets in 2017, Panama achieved +2% capacity growth in 2017, thanks to continued interest from the US, as both a destination and key transfer hub for access to other parts of Central and South America. Volume was also buoyed by the recovery in the outbound Brazilian market, as the airport also acts as a key hub for Brazil, particularly for travel to the States. CiR reports that passenger traffic is looking positive for 2018, with +4.6% PAX growth in the first four months of the year, and +5.0% growth in capacity in the next six months (May-October). Robust growth from Argentina, USA and Colombia – which already feature in the top 10 source markets – is driving volume and percentage growth. Tocumen is also benefiting from double-digit growth in some smaller markets.